The tide on conflict minerals is starting to turn but more must be done to close loopholes that still allow smuggling. The most recent outbreak of violence in eastern Congo, spawned by the Rwanda-backed M23 rebellion, has economic interests at its core, as the rebels and their patrons are resolved to preserve their access to Congolese land and natural resources, including minerals. However, this masks noteworthy progress that companies and governments have made over the past 18 months to significantly diminish the ability of armed groups to generate income from conflict minerals. An Enough Project investigation has found that the passage of the conflict minerals legislation within the Dodd-Frank Wall Street Reform law and new tech industry sourcing policies have helped lead to a 65 percent drop in armed groups’ profits from the trade in tin, tantalum, and tungsten—the “3 Ts”—over the past two years.1 In March 2012, prior to the M23 rebellion, this financial strain, coupled with military pressure from the Congolese army and United Nations, had diminished the Rwandan Hutu rebel group the Democratic Forces for the Liberation of Rwawnda, or FDLR, to a quarter of its size of two years ago. However, with M23 now wreaking havoc in the region, gains made to demilitarize mines and eradicate armed groups such as the FDLR are at risk. Further, due to gaps in the implementation of the U.S. legislation—which continue to allow armed groups to smuggle 3 T minerals, in smaller amounts and gold in larger amounts—policymakers and industry leaders must redouble their efforts to close the loopholes through better monitoring. Otherwise, there is a risk that a river of smuggled conflict minerals could flow again to Rwanda, Uganda, Burundi, and on to global markets. A new requirement from the Congolese government that all mineral exports are to be audited and traced to conflict-free mines. This policy was enforced by Congo’s suspension in May 2012 of two Chinese companies for conflict trading. The first shipments of conflict-free materials being exported from 501 traceable mines in the areas bordering the war-torn Kivu region of eastern Congo. Progress in armed groups pulling out of 3 T mines. The first-ever validation of mines to check for the presence of armed groups and child labor. The upcoming launch of a regional government initiative to regularly monitor mines for the presence of armed groups, with U.S. support. seen their incomes decrease, which must be addressed with urgency. minerals trade and a diversified economy. Pressure Rwanda to stop support to M23. The U.S. and its international partners should demand Rwanda halt all support to the M23 rebellion, which represents a step backward in the fight against conflict minerals and armed violence. Rwanda should also cooperate in efforts to create peace in the region, as well as ensure accountability for the mutineers. The U.S. and U.K. should vote against the World Bank’s $135 million in general budget support for Rwanda and place Rwandan officials named in the U.N. Group of Experts report for supporting M23 under financial and travel sanctions. Speed up certification of conflict-free mines. The U.S. should ensure that the independent monitoring mechanism of the International Conference on the Great Lakes Region, or ICGLR, is operational quickly and empowered to check on conflict minerals transactions able to sanction smugglers. A high-level U.S. official should chair a special session of the Public-Private Alliance on Responsible Minerals, or PPA, to harmonize traceability and audit initiatives to increase transparency, efficiency for businesses, and compliance with regional standards. 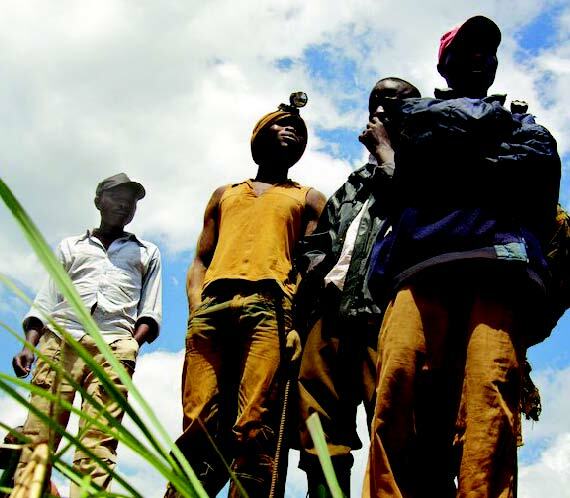 Rwanda, or the tin industry traceability program, iTSCi, should publish the capacity of mines and their production data, proving whether exports are conflict-free. Increase conflict-free sourcing. Companies from the automotive, jewelry, and retail sectors should support Congolese conflict-free mining by joining the Public-Private Alliance and by beginning projects similar to the electronics industry’s Solutions for Hope project to partner with suppliers sourcing from conflict-free mines in Congo. Empower miners. The U.S., European Union, or E.U., the World Bank, and companies in the minerals supply chain should, as a matter of urgency, establish a miners’ empowerment fund to increase employment—especially in construction, microfinance, and agriculture. Increase mine security. The U.S. and E.U. should support a significant increase in the number of Congolese mining police. need for additional support for livelihoods and economic development.